It was the last day of August in 2002, the curtain slowly coming down on what was a gloriously Indian summer in the United Kingdom. Driven by the intrepidness of Yuvraj Singh and Mohammad Kaif, Sourav Ganguly’s men had hunted down 325 in the final of the NatWest Trophy at Lord’s the previous month. India had then battered the hosts into submission at Headingley, the most English of venues, in the third Test a week previously to square the four-match series. A fortnight earlier, 20-year-old Mithali Raj had danced her way to 214 in the second Test against England in Taunton, then the highest score in women’s Test cricket. 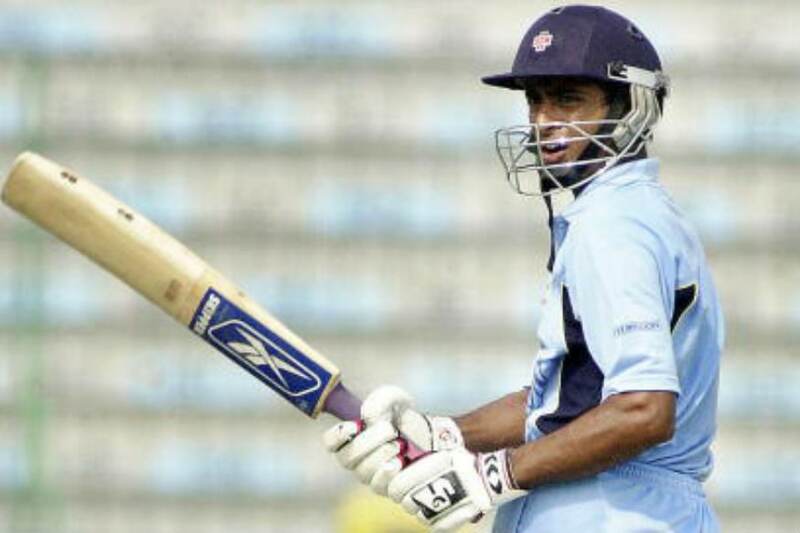 And just the previous day, on August 30, Raj’s fellow-Hyderabadi Ambati Rayudu had served notice of his precocious talent. Then only 16, the slightly-built lad pulverized England with a mesmeric unbeaten 177, off just 114 deliveries with 16 fours and a six in the final Youth One-Day International, also in Taunton. He thus single-handedly steered India Under-19 to a thrilling one-wicket win and a 3-0 clean sweep after a dramatic chase of the home team’s 303 for seven. We were in London’s Hyde Park, savouring the successes of our men, women and boys, when we ran into Robin Singh, the Under-19 coach, and, among others, Rayudu. The painfully shy wisp of a lad wore a dazzling smile, but wouldn’t utter a word. Not even when I dialled VVS Laxman’s number and handed him the phone. It wasn’t hard to guess what Laxman was saying; Rayudu blushed a crimson red, all smiles and giggles but never forsaking his silence. The smiles and giggles have long since disappeared, but silence is certain to settled over him like a shroud in the last few hours. Touted as the next big thing to look out for, Rayudu’s has been a career less fulfilled. Unlike Irfan Pathan and Suresh Raina, his team-mates in that Under-19 side, he never saw Test cricket from the inner. His cricketing life took several intriguing twists and turns as the softly-spoken kid transformed into a temperamental young man given to occasional fits of public rage. He changed states and domain – he was among those who dabbled in the now defunct Indian Cricket League – and looked to have frittered his gift away until a belated international debut in July 2013 threw him an unexpected, but merited lifeline. Like all things Rayudu, it has been an interesting last five and a half years in the fast lane for the right-hand batsman who has the numbers but whose ‘timing’ -- in every sense of the term -- has let him down at the most inopportune moment. As recently as in October last year, he appeared a shoo-in for the World Cup. And yet, here he is today, all but reconciled to a career without a World Cup appearance, not unlike Hyderabad-mate Laxman. That he was a member of the 2015 squad without getting a game in Australia and New Zealand will be scant consolation. Best to not go there, anyway. How did Rayudu’s career unspool from the high of last October, when Virat Kohli announced that the quest for the No. 4 spot had ended, to the shattering low of now, when he is not good enough to even merit a place in the 15? Let’s see if we can deconstruct the meltdown. Rayudu had been picked for last summer’s tour of England after a rip-roaring IPL for Chennai Super Kings at the top of the order, but was dumped for failing the infamous yo-yo test. Stung to the quick, he met the minimum fitness requirements and returned for the Asia Cup in the UAE in September, where he strung together scores of 60, 31*, 13, 12, 57 and 2 – five of those knocks coming at No. 3 in the rested Kohli’s absence. That was on October 20, 2018. Unfortunately for Rayudu, the World Cup was a good seven months away. It’s not that in the intervening period, the 33-year-old has had a horror run in international cricket. After hits of 0 and 24 in Australia in January, he finished as the leading scorer for India in the five-match series in New Zealand with 190 runs, including a brilliant 90 in the final game in demanding batting conditions in Wellington. Curiously, ironically, spookily, it was precisely that innings which was to be the genesis for the emergence of Vijay Shankar as his replacement at No. 4. It was Vijay’s fourth ODI but the first time he was required to bat, and was he required to bat! India were down in the dumps at 18/4 batting first, when Vijay walked out to partner Rayudu. He held his own during a fifth-wicket stand of 98, cruising to an eye-catching 45 before being run out. Vijay followed up that effort with scores of 46, 32, 26 and 16. 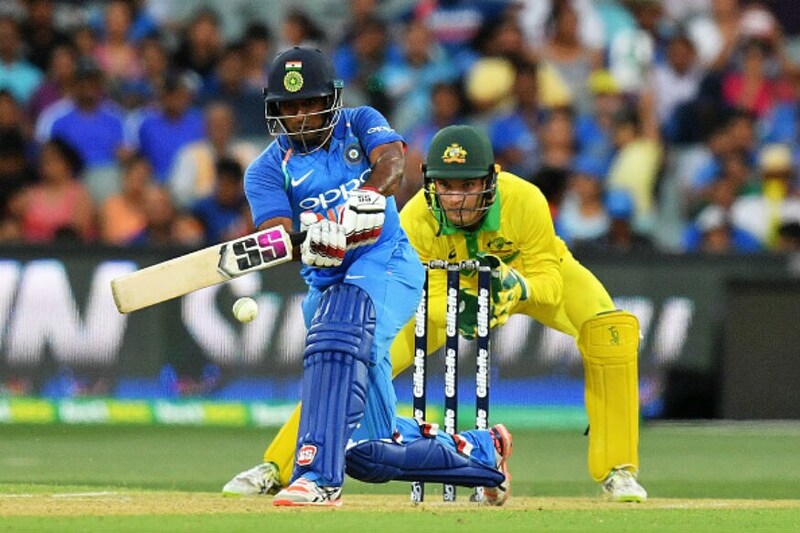 Rayudu responded with 13, 18 and 2 before being dropped after the third ODI against Australia at home. Decisively, it would appear. Did Rayudu’s decision to retire from first-class cricket last November to focus on limited-overs cricket, ala Mahendra Singh Dhoni, backfire? Unlikely, because the rust didn’t show in Australia or especially New Zealand in January-February, and the first-class season in any case ended mid-February. 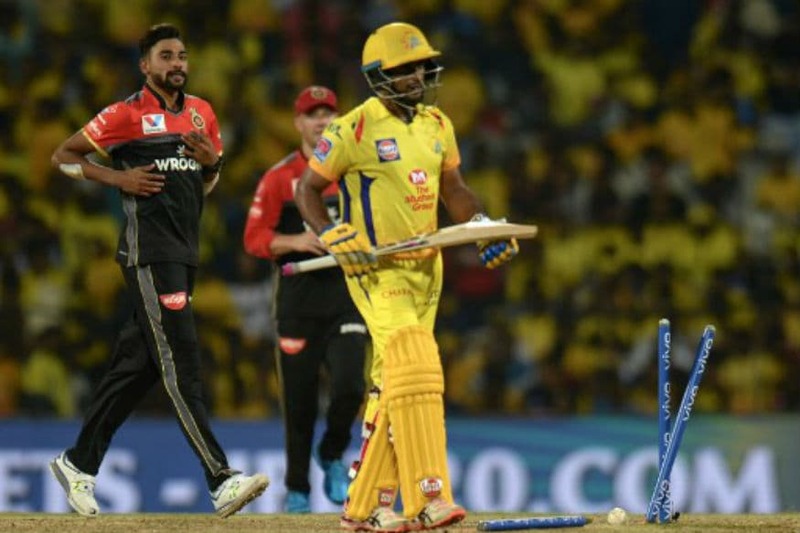 He just couldn’t have picked a worse period to attract a slump in form – for all their proclamations to the contrary, it would have been impossible for MSK Prasad and the selection-making group to overlook scores of 28, 5, 1 and 0 while opening the batting for Chennai Super Kings in IPL 2019. The damage probably was so severe that subsequent contributions of 21*, 21, 57 and 5 upon returning to No. 4 could not offset it. It’s not as if Vijay has tallied a mountain of runs to stake his claim. In direct contrast to Rayudu, however, timing has been the Tamil Nadu man’s ally. His assurance and composure, more than the volume of runs, have helped, but the clincher is his ability to send down a couple of overs of medium-pace. Unlike in the past when India had bowling options galore from the batting bulwarks – Tendulkar, Sehwag, Ganguly, Yuvraj, even Raina – the current ODI set-up is bereft of such versatility beyond Kedar Jadhav. Vijay’s technique and level-headedness suggest a competent, capable No. 4 in a sea of attractive stroke-makers; that he can bowl a few in an emergency, unlike Rayudu who has been suspended from bowling at the international level due to a suspect action, was probably the final nail in the Hyderabadi’s coffin. Given the stress on communication that chief selector Prasad harps on, one can only hope that Rayudu has been spoken to. At the best of times, he is prone to documented fragility; the least he deserves in this hour of strife is a warm hug, a friendly arm around the shoulder, a wise word or two in his ear. It won’t change the situation, but he will gradually come to accept he isn’t in an entirely horrible place. And that not being in the World Cup mix isn’t necessarily the end of the world. Just Ordered 3D Glasses: Rayudu Takes Jibe at MSK Prasad?